Do you need to update your social identity? Are you looking for a simple way to make sure all your social channels are consistent? In this article you’ll discover a checklist that will help you rebrand your social media profiles. 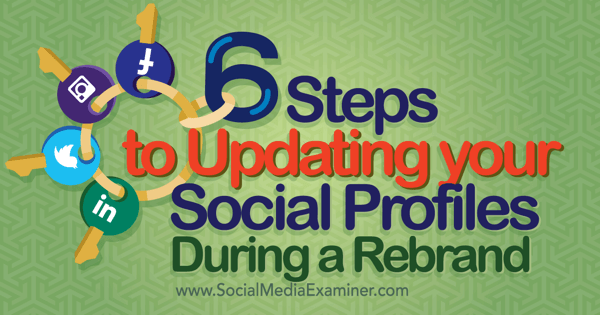 Discover the steps you need to update your social profiles during a rebrand. 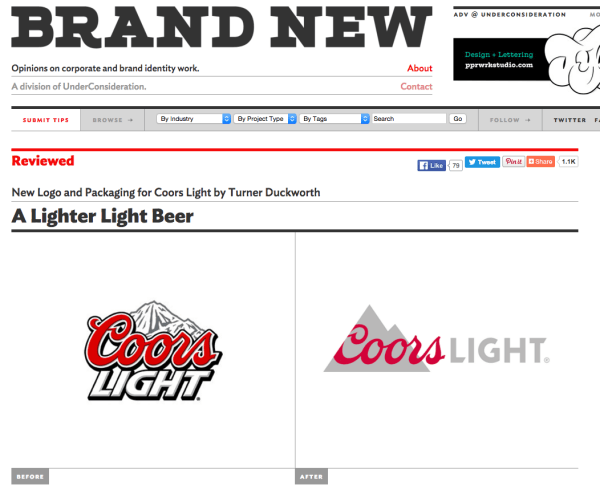 Some companies purposefully keep their rebrand under wraps until the last minute. While this shock-factor approach will likely generate press, it can be risky if people react badly. 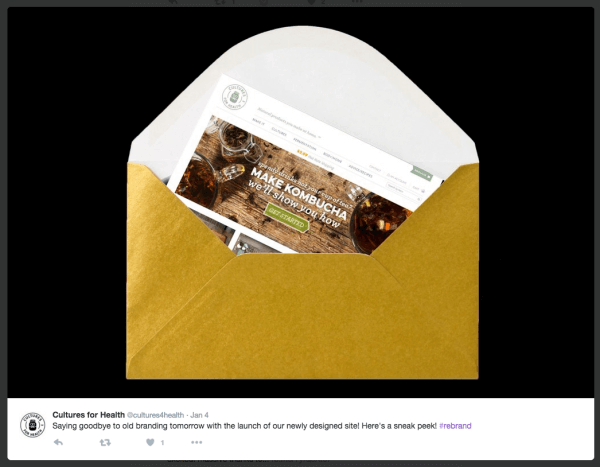 To stay on the safe side, give your audience a sneak preview of your rebrand. To do this, post something from your new company (your new logo or images from a new marketing campaign, for example) on social media. Announce the change and ask people what they think. This makes your audience feel like you value their opinion and allows you to gather feedback before launching the rest of your rebrand. It also gives your audience time to adjust to the idea, and you’ll generate anticipation and excitement for the launch. In the example below, Cultures for Health uses a sneak preview photo that offers enough information to generate excitement, without giving it all away. Cultures for Health used Twitter to offer a sneak peek of their upcoming rebrand. Once you’ve launched a new visual identity, it’s a good idea to get feedback on what your audience thinks about it. This isn’t about whether people like your logo; it’s about more tangible things that can affect revenue. Is your new blog easy to navigate? Does your audience relate to your brand story on social media? You can post a quick survey on Twitter or Facebook to ask these questions and then use the results to make improvements. Have you designed a sleek, modern visual identity to accompany your rebrand? Great! Now it’s time to show it off. Be sure to update your profile photos and hero photos on all of your social media accounts or add them to new accounts if you’ve completely scrapped the old ones. This isn’t just about profile photos. It’s about making sure your social media sites visually represent your company’s new identity. For example, you may need to change your Twitter theme to match your new colors. Or you may want to create a new Pinterest board showcasing elements such as your packaging design or imagery. 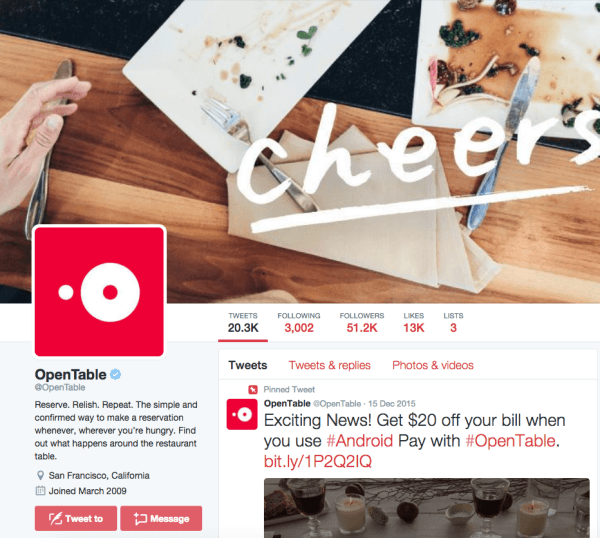 OpenTable updated their visual Twitter profile to match their new brand. In addition to standard social media profiles like Facebook and Twitter, make sure you edit review sites such as Yelp, Foursquare and TripAdvisor. If you don’t have a presence on these sites, now is your chance to create one. If you’re a B2B company, you might have reviews on sites like Capterra or G2 Crowd. You also might have a presence on directories like Angie’s List, so it’s important to be thorough with this search, no matter your industry. It will only add to your brand consistency and boost awareness. 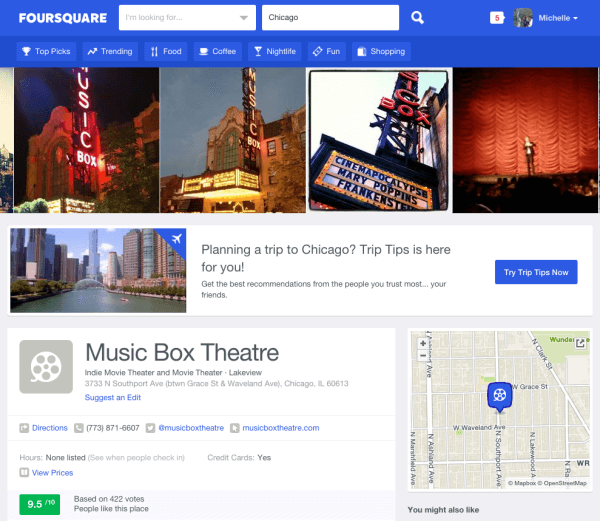 Chicago’s Music Box Theatre has a complete Foursquare profile and is a top pick for people searching through the Fun category. You also need to update your social media profile handles. This seems like a no-brainer, but you’d be surprised how many companies get this wrong. Choose a handle that’s spelled correctly and arranged sensibly. This makes it easy for users to locate your new accounts. It also makes your account names more memorable, which means your audience will be more likely to engage with you. Create a consistent social media name across all channels. Before you do this, make sure your desired handle is available on each social platform. You don’t want to change half of your usernames only to find out another company already owns it on one channel. If you don’t have a complete Google Business profile, you could be missing out on opportunities for new customers. Make sure your Google Business page is up to date with your most current information so local customers can easily find you. The first thing you want to do is create a customized URL. Then add photos or images and include information about your company such as your address, phone number and hours of operation. Best Pizza is one of the top results for “pizza in New York” because their Google Business page is thorough and they have many positive reviews. Once your profile is set up, it’s important to encourage customer reviews. 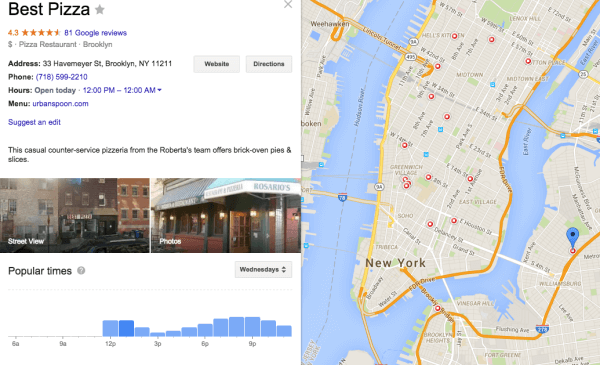 The more stars and reviews your page has, the higher it will show up in search results. If people are searching for your old company name, a redirect will ensure that they’ll be able to find your new one. Be sure to comb through your website, blog, email newsletters and other marketing collateral for social media links. Setting up redirects can be tricky, so now is your chance to make sure each link works correctly. Use a tool like Google Webmaster Tools to check for broken links and make sure your site is up to your standards. 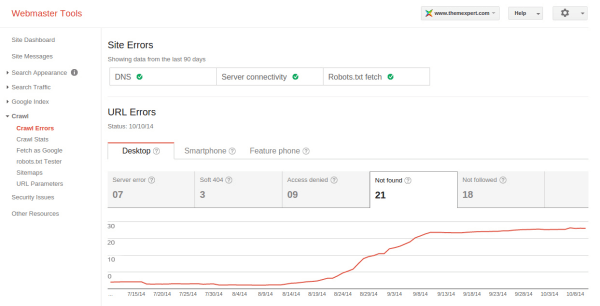 Google Webmaster Tools makes it easy to identify broken links on your website. Then, Google your company to make sure your new look appears to customers exactly how you want it to. Check your updated Google Business profile, and see how your website, blog and social media profiles stack up in Google’s results. Be sure to look under Images to see if there is a clear representation of your new identity. The last thing to do is search for your old company name. Check your redirect links one more time to make sure there is a clear path from the old name to the new one. You’ve spent considerable time and money on your company’s rebranding. The last thing you want is for someone to use a new graphic asset incorrectly, or worse, use an outdated one. Your digital assets management system should have clear guidelines for how people can use your new graphic assets. The best way to prevent misuse is to adopt a digital asset management system, or DAM. This allows you to manage all of your most important graphic assets from a single location. Your DAM should have clear guidelines for how people can and can’t use your new graphic assets. This will help guide internal teams and partners for using these assets across social media and other places on the web. Since there’s bound to be press about your rebrand, this graphic kit is also a great way to show reporters and bloggers how to use your new identity. Your customers love hearing from you. In addition to making them feel valued, it helps you build a deeper connection with them and everything your company stands for. Publish a letter that explains why your company rebranded and what it means for your community. This not only generates interest and support for your company, but also reminds your customers that you’re always striving to serve them. You can do this a number of ways, such as posting a letter using LinkedIn Publisher or writing a Facebook Note. 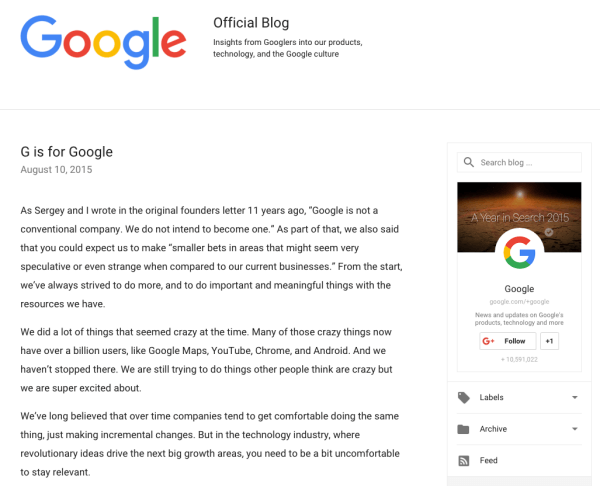 Larry Page, Google co-founder, published a letter on the Google blog to announce the company’s rebranding as Alphabet. Google’s rebranding announcement post received over 2,000 comments and responses from users. Rebranding your social media profiles can be daunting, but it’s important to get it right. By following this checklist, you’ll be equipped with a strong, consistent social media identity for your business. What do you think? Have you rebranded your social media profiles recently? Do you have any social media rebranding tips? Please share your comments and insights below. 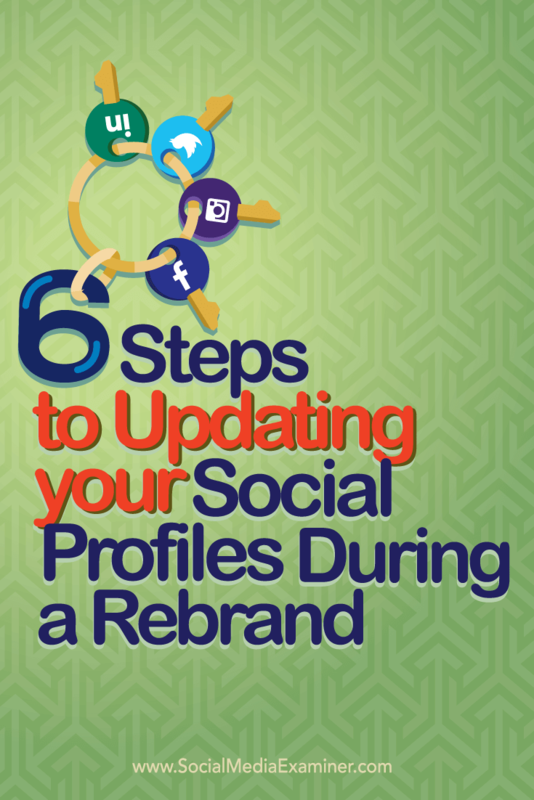 Tips on rebranding and what you need to know about updating your social media profiles. Michelle Polizzi is a freelance writer and contributor at Pagely. When she's not writing, you can find her reading The New Yorker or exploring the Rocky Mountains.